I am wondering if I can find Patbingsu anywhere else in Singapore other than at Seoul Yummy.... Since this is a summer dessert and Singapore is in summer all year round, this should be popular here. The only thing is that there will be a head-on competition against our local dessert ice kacang. 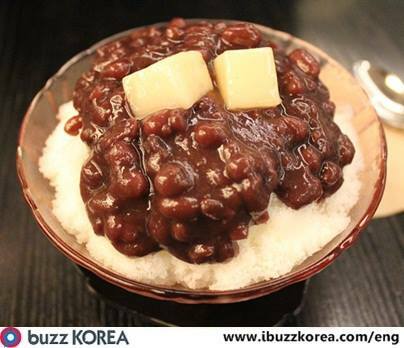 The delicious serving of red bean on top of the shaved ice looks so good. The 2 white square pieces should be some glutinous cake. 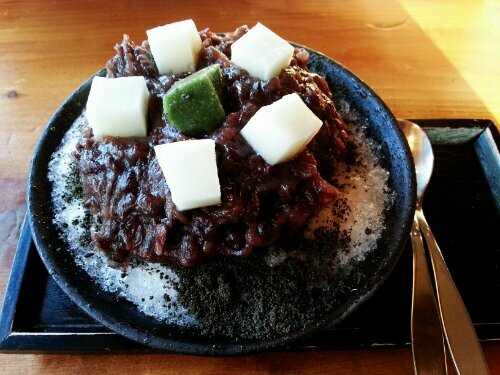 I had this bingsu while travelling in Jeonju last year. I appreciate the efforts they put in to present a nice bowl of dessert.